Books making us stupid – too soon? I keep saying this to myself. For those of you not familiar with mega-cast war films from the seventies, the protagonists in the film referenced in the title try to get the whole war they are in ended in one attack by capturing three bridges. The last bridge, though bravely captured and defended, is lost and the venture is left unfinished. The war continues on. This… is how I feel about week 4. The book thing has not gone as planned – people seemed to think i want to get rid of all books. I do not. I wanted to juxtapose the Nicolas Carr lambasting of google against his enlightenment attachments to books. Google makes us think shallowly. How do books make us think? Is it actually great, or are we just used to it? This course is meant to be a process of unbundling and bricolage. Of challenging the assumptions that underly what we call learning and then, as we come to the closing weeks, finding new assemblages that we can use to help us move further down the road. I see the book as a symbol of the bundled. Of the pre-fabricated. Of centralized, expert driven content. I also see a house of my own entirely clogged with books of all sorts. I challenge ‘book as construct,’ not by wanting to burn them or throw them out or turn away from them, but to take apart the ways in which we see them to see what they are doing to us. I challenge the book the same way i challenge consumerism – not by wanting to stop being a consumer, I like things, but by thinking deeply about it to understand where it impacts what I am doing. The book in all of its bound paper glory, is a powerful instrument. There are books written by all kinds of people saying all kinds of things. Some good, some bad, and yes, we should be critical about what we read. My critique is about something other than this. Those books were all written by people. Real people. The book is an artifice (often necessary, particularly when those people are dead) a cultural artifact that separates us from the person who’s idea were reading. It is a one to many artifact – no matter how many book clubs deconstruct it. It is broadcast. It is lecture. I love an awesome lecture. But it is not what i want from education… it should be rare rather than omnipresent because a lecture is very different than an interactive session. A keynote different from a breakout room. The book is a DEEPLY embedded artifact in the minds of almost all ‘educated’ people. A book different from a community. I have not done well by the excellent Jenny Mackness’s blog (or by Jenny). I have posted two comments there that have not reflected how i see myself as a participant in the community of learning. I was frustrated with myself for not getting my point across and, I think, that leaked over there. My apologies Jenny. Author davePosted on February 11, 2014 Categories rhizo1411 Comments on Books making us stupid – too soon? The rhizomatic learning course #rhizo14 is the first open course I’ve ever taught without affiliation. (though certainly being employed by my university and having an invested and interested partner allows me to have the ‘free time’ to pursue it) I have no partner that I’m working with or no school supporting it. This is the educational exploration I’ve been doing for the last 8-9 years, and I invited whoever may want to join to come along with me for the ride. It is, in many ways, the vision of MOOCs that I have had since we first starting talking about them in 2008. The course participation has been fascinating… and enlightening. Don’t take my word for it, check out some of the highlights for yourself on Cathleen Nardi’s curation page. The course is being ‘designed’, if you can call it that, to expose the concepts of rhizomatic learning through a succession of challenges. The challenges have been developed on the fly based on my sense of what might help push the conversation to a new and interesting place. They are structured to challenge the cultural assumptions that are prevalent around learning and to have people share their responses to it. This was a blind opener. I had to have a topic to get conversation started in the first week and this is the place i usually start in my first week of my face2face classes. I started out purposefully vague with this topic with the hope that it would allow for a greater number of perspectives around the power structures that support cheating. That seemed to work. We got power and ethics and lots of fun stuff. More than anything, I was hoping to break down the teacher/student divide and trouble who was responsible for deciding who was learning and how they should be doing that. It might, also, start conversations around collaboration. This was intended as a counterpoint to week 1. Yes, the student is responsible for learning. Yes, our traditional system is a command and control structure better built for enforcement of norms than for the nurturing of creativity. Sure. We need independent learners. But how do we get there. We’re not starting from a blank slate. We can’t just reset the last 150 years of schooling and start over. We need to create classroom and non-classroom learning structures that slowly move people towards independence. We need to live inside the paradox of telling people to do what they need to do and to judge themselves by their own goals and objectives. Encouraging people towards independence is one thing, creating an ecosystem where multiple answers are possible is something else entirely. Uncertainty is a part of most of our real lives, it is very much part of the learning process that we live outside of ‘schooling’. It takes a long time for my students to get over the sense that there is a hidden series of things i want them to believe, and that my attempts to have them create their own objectives is just reflective of sadistic tendencies. I have to embrace my own uncertainty around things, and the uncertainty around the things that I know about, in order to demonstrate that as a goal for learning. Those goals aren’t about knowing right/wrong but rather being able to make reasonable decisions when confronted by uncertainty. 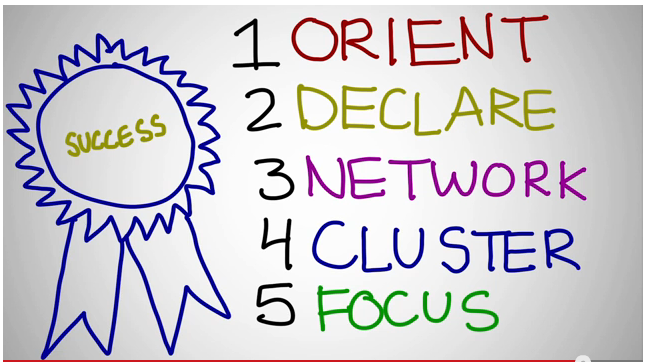 If this is the new goal of learning, it fundamentally changes the way you go about it. Challenge 4 – Is books making us stupid? I got really strong support for independence and for uncertainty… to strong I thought. I expected a little more pushback. I decided to ask the question in a different way, one that maybe went more to the core of our beliefs about knowledge. Many of us (me included) have been brought up to adore the idea of the book, to revere the smell of one. We have found solace in books, escape, the voices of the past… all kinds of things. But the book is a technology and it has it’s own logic to it. It’s own set of affordances. It is very easy, for instance, to see a book linearly. It starts at the beginning and moves on to the end. Sure… you can jump into the middle and read it backwards if you want, but that is you disrupting the technology. My hope for this week was to trouble the relationship between printed, unmodifiable text and learning. The responses have been pretty divergent… I’m in no way suggesting that books haven’t had a very valuable historical place. I’m not suggesting that I don’t want to read them. I do, however, think that we have lost a fair amount of value in our cultural move towards the book-type text. Are books ‘more right’? Do they encourage the tendency to look for a ‘correct’ answer? Was socrates right when he suggested that writing would mean people wouldn’t think for themselves that they’d just ‘read it’? I also think, and I get into this more in the ramble below about Nicholas Carr, that the book heavily privileges people of a certain ‘tradition’. The question of the book and of its primacy is fundamental to community curriculum… hence it’s placement here in the course. Nicholas Carr wrote an article called “Is google making us stupid”, in which he critiques our ‘get answers at your fingertips’ google fuelled world. In response to Socrates’ warnings about writing, he suggests “Socrates wasn’t wrong—the new technology did often have the effects he feared—but he was shortsighted. He couldn’t foresee the many ways that writing and reading would serve to spread information, spur fresh ideas, and expand human knowledge (if not wisdom).” And I agree with him, those things did happen. But at what cost? We moved from ideas moving towards fluidity to them becoming more truth based. And now I’m suggesting that we can have both worlds, if we leave behind the trapping of the technology of paper. A return to orality need neither be us turning over our culture to mindless interaction nor a complete divestiture of books… just of a primacy of complexity over simplicity. Of conversation over printed-text. And herein lies the rub. The book promotes independence of thought, our ‘own’ ideas and our ‘own’ inferences. It promotes possession. It reifies the things we are reading and makes them a thing that can belong to a person. There is value in this. But there is also a fundamental difference between an idea that I HAVE that I DEFEND against someone else and an ongoing conversation that develops BETWEEN people. If we look to the life lived by Foreman and Carr’s Dartmouth/Harvard education, it doesn’t take a huge stretch for us to see that the ‘tradition’ that they are talking about doesn’t necessarily include all of us. Much like similar critiques from Sherry Turkle, the ‘we’ might not extend to the rest of ‘us’. Who does the ‘tradition’ of the book serve? “The question is,” said Humpty Dumpty, “which is to be master—that’s all.” For you… I quote a book that tells of a conversation where meaning is up for negotiation. Our challenge this week was to consider cheating as a lens through which to understand learning. I had hopes that by offering a challenge that was open ended we could dig into our assumptions about learning and approach the rhizome from an appropriately indirect angle. We have one group of people who have taken up the idea of cheating in the ‘hacking’ sense. We had others who dug into the ethics of cheating and explored the social contract for learning. Overall, I was hoping to get discussion going. I think we’re good on that one. I’ve been very impressed with the quality of the engagement and the willingness for people to engage with each others ideas. The thrust of the discussion for most was to question and push our traditional assumptions of the relationship between learners, teachers and knowledge. If you missed week 1 we’ve all sort of introduced ourselves to each other. We’ve also started the process of building a shared understanding. There’s no reason not be able to pick up and engage with us on the topic, just wander around in some of the resources here. Rhizomatic Learning – an unlearning camp Pinterest Page – I have clearly not been giving Pinterest the love it deserves. Check out the overview of work done pinned to a course board. Martin Hawksey’s tagsExplorer – Subject of the preview post, awesome overview of the folks on twitter. We’ve got an ‘old fashioned OPML file‘ from Matthais Melcher. Answer garden presenting some interesting results here too. And of course, we’ve got the google group, the facebook group, the twitter hashtag and the course website! First week introductory video… annotated. I have no way to pick specific posts among the many awesome ones out there, so i will simply pick out the ones that are currently open tabs in my browser. Penny Bentley and a really nice introduction to the ideas covered in the week. Some nice stuff said about the course by the P2PU folks. A string of three from Jenny Mackness – intro, a critique and a summation. Thanks to everyone for making this such an awesome experience so far. I got a chance to take Unhangout for a spin today with some friends. Two of my old cronies from Edtechtalk (@jenm and @schinker), my good UPEI buddy @daniellynds, @mozzadrella from P2PU and Srishti from the unhangout project all took a run through thinking about what a good session might look like for the folks in rhizo14. We’ve got a plan and, as is only right, it’s going to take a little feedback from you folks. Unhangout is a neat little project being run out of the MIT Media Labs. Basically it allows you to combine a series of hangouts together. You NEED a google+ account to make this work… I’m sorry about that, but it’s what we’re going to be trying this time. You’ll come to the session, and, at some point, break out into one of the rooms to talk about something you’re interested in. Or, alternatively, you can hang out in the lobby and chat with folks. I’m going to do a 10-20 minute jam session of some of the conversations that are going on this week to get us all started off. Each breakout room holds 10 people. The course currently has about 300 people registered in it. Lets figure we have about 35-40 people who actually come to the live event. If that works for people, we’ll go with those topics. If it doesn’t, I’ll make something up tomorrow night. Let’s get something straight right out of the get go… it is true that I mostly don’t know what I’m doing. I’ve been experimenting with online community style learning (which I have, for reasons that might become apparent, called rhizomatic learning) for about 10 years now. This course is my latest experiment with it. You are all joining in with me, in various ways for various reasons, along a journey that will have different results for different people. I have already learned new things and the course hasn’t even started. I’m looking for new ways to explain the things I have come to believe about learning, the nagging sense of what might be true that I just can’t put into words. I am a nomad, not a knower. I’ll do what i can to help or answer, but this is not a situation where i know things that others don’t. I’m hosting a party, not trying to tell you what or how to think. There are a number of ‘locations’ that you can use to follow along with what’s going on during the course. You might choose to pick one and stick with it or use several. You are also most welcome to create your own space if you have specific needs or are particularly fussy :). The most important part of your choice is figuring out what is going to fit into your life better. The more you figure out what you’re taking this course for, where you will be when you check in to see what people are doing – the better chance of you having a fruitful experience. The course is being ‘held’ at P2PU (Peer to Peer University). You can go there and ask questions, find dates for live sessions, and participate in discussion with a wide range of people. This site will probably have the most formal experience of any in the course and will also be a location where you are likely to find lots of people you don’t know. Some comments will also get lost on p2pu. We are nearing 300 people in the course and if we even get half of those people engaged, it’s going to be tough. If you see something uncommented/replied/shared engage with it. You don’t need to agree with it, just add value to it. Here’s a few tips on using the discussion forums. Facebook is what it is. There are some things it does well, mostly because lots of people are there. We have a facebook group. I’ve set things up so that all my blog posts and tweets automagically post there. If you aren’t sure where to start, and you currently use Facebook, this is a nice way to start. Same rules here, share, engage and add value when you comment. 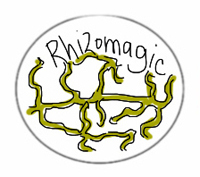 There’s a google + community out there for rhizomatic learning. You are free to join it and work through there. Google+ is not a place i ever came to love, but some people do. Each to their own. You can follow this blog and start discussions in the comments here. There are other folks out there that are blogging as well. These are excellent places to meet people. If you have your own blog, it is MUCH easier for you to have other people talk to you. If all else fails, search google. If you create or have found other spaces, let me know and I’ll edit the post. In a given week I will host a discussion day on Tuesday. I will write at least one blog post. I will do my very best to tweet and comment as much as humanly possible. I will try and craft some kind of scaffolding for the next week. I will rake in all the cash from this incredibly profitable event. What you should do in a given week? Try to forget everything you know about ‘traditional education’ and imagine that you are going to camp for 6 weeks. The first thing i would do is find out where the food is. But that’s me. You might like to just chat with people. You might want to create a map of the premises to make sure you were never lost. You might try to make one really good friend. You’ll notice that some of the people in camp already know each other, you’ll see an eager person in the corner that no one is talking to. See Terry Elliot’s excellent work so far for some additional context. This comment and this post. Don’t know where to start. Write something somewhere and tell us why you joined. Send us the link, somehow. We’ll care. Author davePosted on January 7, 2014 January 7, 2014 Categories rhizo14, rhizomes, Uncategorized4 Comments on What problem does rhizomatic learning solve for me? Unravelling -> a model for an open course? #rhizo14 will inevitably be an exploration of the possibilities of open learning as well as a space for considering rhizomatic learning. One of the challenges of rhizomatic learning is that it’s new for many. When most people think of the word course, they think of a set of objectives that contain the canon of a particular field with a teacher as the arbiter of ‘learning’. Even if people are comfortable looking to themselves as being responsible for tracking their learning they may not have the basic language or literacies (or technologies) to be able to start along with others. So we need some structure, at least in the beginning, to make sure that everyone gets to play. Some of this structure can take the form of remediation… where you prepare answers to simple questions that allow newcomers to help themselves. We also need to have an effective way for people to be able to ask the community simple questions and ways to effectively mentor people to a place where they can be fully contributing members of the community. The fine folks at P2PU have directed me to the unhangout platform as a possible method for doing live sessions. The idea of having an unconference model for each of the six weeks is very appealing, but i think it would overly favour folks who’ve been working with rhizomes for a long time. So I’m suggesting something that I’m going to call ‘an unravelling’ until someone tells me what someone who thought about it before me called it :). I’m sure someone else has done it… but I haven’t found it. The first week will be very structured. Some foundational readings, a little bit of talk about rhizomes and Deleuze and Guattari (though not much) and a strong focus on giving people specific things to do. Write an introductory blog post, state what your goals are going in to the course, post your blog post by Tuesday… whatever. By the end of week 1, people should be able to tell themselves “yes, i have done the thing i was supposed to do”. The live session(s) will have specific topics delineated for people to join (though we might have a pre-session with interested parties to workshop what those might be). This is the ORIENT part of the process. The second week introduces responsibility but checks in with folks to make sure that people are understanding the orientation parts of the project. Perhaps this would work well with some specifically identified mentors who could lead breakout sessions and help people from a tech/custom/topic perspective to keep conversations on track and facilitate reporting form each of the groups. This is DECLARE week… in order to be a fully functioning participant (and no one is saying you need to be) you should be speaking from whatever platform you like at this point. We’ve unravelled the structure and little… but still lots of support. I’m thinking of these as NETWORK and CLUSTER weeks. We should be able to run unconference type sessions in the hangout and folks should have some sense of what parts of the discussion they are interested in. They might find people to work on a project with, they might find critical friends who will help them push their work further… lots of different stuff. This is where the course starts to really unravel. FOCUS week. I see this week as full of people’s final projects. What have you worked towards during the course? What have you come up with? What practical application do you see (or not see) for rhizomatic learning. Where will it not work? How does it need to be combined with other things? We have unravelled entirely at this point. The community should be the curriculum at this point. Author davePosted on December 29, 2013 December 29, 2013 Categories rhizo1420 Comments on Unravelling -> a model for an open course? Three weeks from now we’re kicking off an open course over at P2PU on rhizomatic learning. As some of you might be aware, I’ve been working on rhizomatic learning since about 2007 through the Rhizomatic Education article published in the now defunct Innovate Online and now focused on the collection of reading that is slowly working its way into a guidebook for learners in my ED366 course. Broadly speaking rhizomatic learning is the way i think about learning in an age of abundance. It is based on the work of many folks, but primarily in my somewhat idiosyncratic reading of Deleuze and Guattari’s concept of the rhizome from their very idiosyncratic work ‘A Thousand Plateaus’. The core concept opposes the hierachichal, linear image of the tree against the decentralized, unpredictable rhizome. The difference between a learner following a set, organized path and creating their own map of their own learning. I tried, last year, to write an intro in 300 words… that might help give you a ballpark sense of whether it’s of interest. The course will be a six week journey through some broad concept that I (and many others) have touched on over the years. I’ve sketched them out on the p2pu page, but they are, like much of this work, subject to change. I’m starting the think of ‘abundance’ as the core concept of rhizomatic learning, hidden in my earlier work, maybe, because it was so obvious. This concept with be a theme I myself will be pushing through the course, but I’m very much hoping that others will emerge. The commitment of a participant is very much up to you as a participant. I’d love to see blog posts and tweets and videos and other things I’m not imagining critiquing the concept and pushing it further than it has been pushed to this point. I’d like to see ways in which it does and doesn’t map up against the people’s practice. I’d love to see people creating new maps for themselves and learning things they did not expect. For myself I’m looking forward to running an open course for the pure interest in the subject. To make new connections between my work and the work of others… to make new connections between my own thinking and the thinking of others. I’d like my map to extend further than it does. No pre-reading required. Join us for part or all of the journey as you like. Feel free to run on over to P2PU to register for the course.